At some point between 03:15am and 05:05am the vehicle was stolen and driven through fencing and woods. It was later found abandoned on Snowberry Crescent in Denvilles. A 43 year-old man from Waterlooville was arrested on suspicion of a number of offences, including theft of a vehicle. He has been released from custody without charge, but remains under investigation. A second man, aged 47, has also been interviewed under caution as part of our investigation. Officers are keen to hear from anyone who saw anything suspicious in the area. 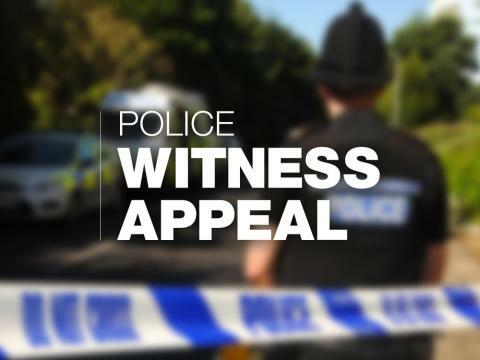 We are also carrying out enquiries to establish if this incident is linked to other reports of the theft of plant machinery in Hampshire in recent months. Investigating officer DC Peter Eamer said: “A JCB being used in the early hours of the morning will have caused noise that residents may have been alerted to. Did you see anything suspicious in the area? “As part of our enquiries we are looking at what preventative measures we can put in place around the security of heavy plant machinery. "We would like to reassure our communities that we take these types of reports seriously, and encourage anyone who notices suspicious activity near to construction sites or heavy plant machinery in rural areas, to report it to police as this may assist our enquiries."